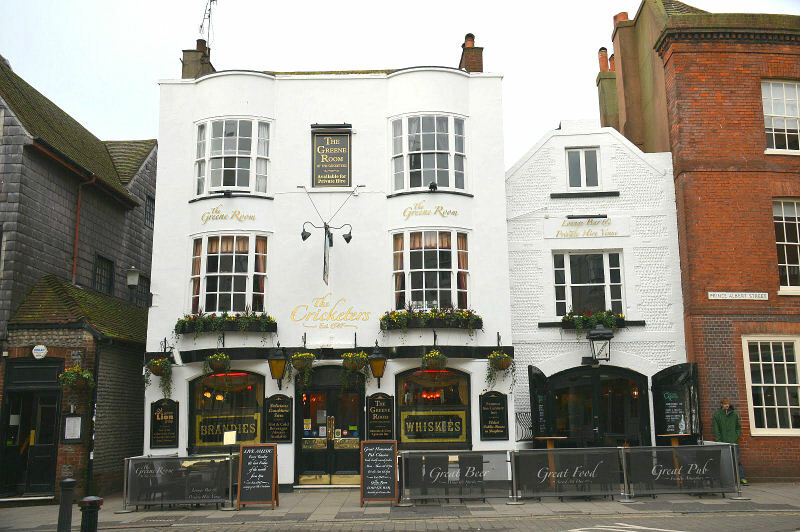 I always enjoyed the Dickensian atmosphere of this small Georgian gem of a pub in the 1970s, despite the appalling Watney’s beer and the fact that you usually had to climb over or around people to get to the bar. This part of Brighton was far less crowded then than it is now and most of the surrounding businesses were offices or antique shops, not bistros or wine bars, so at night the streets were almost empty. On a cold windy night this was a perfect place to be and I used to imagine Sam Weller telling Pickwick stories of his experiences in here over ‘Brandy and water, hot’ or ‘Shrub’ or some similar long forgotten drink of the early Victorian age. There were a raffish bunch of regulars too, often in the antiques game, who must have long since retired or passed on. From the photographs it seems to have survived the past thirty odd years well, although the hanging baskets seem a bit twee but its nice to have the Cricketers still around in a world of ‘theme bars’ and ‘fusion cuisine’. 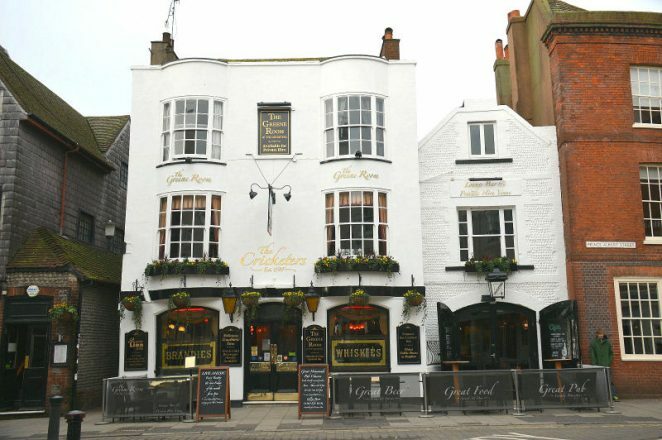 Do you have any memories of The Cricketers you can share with us? Please leave a comment below. I worked there in the 70’s, what a fun place it was.